This week, I want to highlight something I seriously love: Yelp! You've probably heard of the website or app (and if not, I swear you live under a rock). It was started in 2004 to help people find local businesses. A lot of people think it's just for restaurants, but you can also search for a doctor's office, a place to get your car fixed, or festivals! On the flip side, the content is generated by users who write reviews. I personally joined Yelp in July 2011. In 2012, I realized active users of Yelp had a little "Elite" badge on their profiles. Generally, I'm big on reading reviews before I do just about anything; I do my research! Realizing I needed to give back by writing reviews, I decided to do that on Yelp--and to earn that Elite badge! In January 2013, I became a Yelp Elite member. Elite member? Wondering what that means? Well, you can read more about it on Yelp's website, but from my perspective, it's a status given to engaged Yelpers (writing quality reviews, interacting with others on the website, being your real self on the website, etc.). In turn, there are opportunities to attend exclusive "Elite Events". Through this, I've enjoyed new and old restaurants, had my fill of adult beverages, toured distilleries, tried my hand at archery, made homemade buttercream frosting, escaped from an escape room, won contests, and SO much more. (Did I mention these things were free?) Through these experiences, I have also met people--fellow Elites and friends--who I likely would have never met otherwise! I even attended a Yelp Elite Event in Charleston, SC; my mom and I were welcomed with open arms by that community. There are also many non-Elite events, and especially if you are fortunate to live in a city with a Community Manager (Shout out to Louisville's: Emily H.! 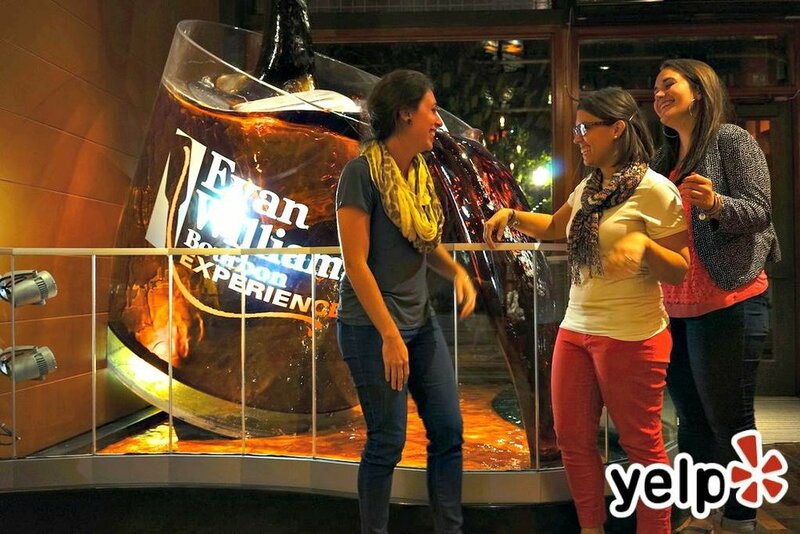 ), you're likely to see some great things from Yelp outside of the website and app! Conveying the fun I've had with Yelp--and how useful it has been to me--is hard to put in a nutshell, but I want to share four more things I love about Yelp, and none of these are exclusive to Elites. Check-ins: As you probably see, Yelp is very social. You can check in... which I always do. (Then it reminds you to review the places at which you've checked-in, which is convenient.) What I love even more is the check-in offers! One time my parents and I were in New York, and we each got free "shots" for checking in on Yelp! I've also gotten free churros at Merle's Whiskey Kitchen here in Louisville! Contests: At least in Louisville, there are a plethora of contests on Yelp! Either from myself or a friend winning, I've won tickets to a beer festival (Beer & Loathing) and to Louisville SWIG--among other things! My friends have also won tickets to Desserts First and Forecastle--and so kindly took me along to those! Following your local Yelp's social media accounts makes it easy to keep up with these contests. Free shots for checking-in while having lunch in New York City! My dad was ready. There you have it. Elite or not, Yelp can be a very useful tool--and a very fun community. 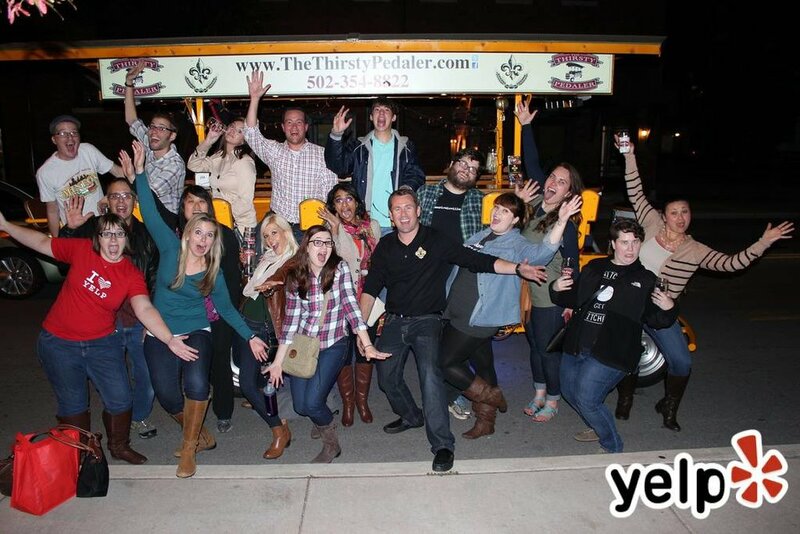 I'm so happy to be a part of the Yelp Louisville squad!